Two national newspapers have been found guilty of contempt of court over articles published after a killer's conviction for the abduction and murder of schoolgirl Milly Dowler. The ruling against the Daily Mail and Daily Mirror was made by two judges at the High Court in London in a case brought against them by Attorney General Dominic Grieve. Both papers, who contested the action, had been accused of publishing "seriously prejudicial" articles. 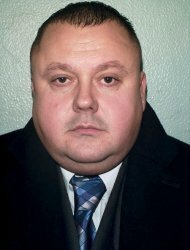 At a hearing in June the judges were told that stories in the Daily Mail and Daily Mirror were part of an "avalanche" of adverse publicity which followed the guilty verdicts against Levi Bellfield - while jurors were still deliberating another charge against him. Sir John Thomas and Mr Justice Tugendhat heard that as a result of the "totality" of the publicity, the Old Bailey jury was discharged from returning a verdict on that count. The charge alleged that the day before Bellfield snatched Milly from a street in Walton-on-Thames, Surrey, in 2002, he attempted to abduct Rachel Cowles, then aged 11. Bellfield, who was previously convicted in 2008 of the murders of Marsha McDonnell and Amelie Delagrange and the attempted murder of Kate Sheedy, was found guilty on June 23 last year of Milly's murder. The newspapers argued that their publications would not have created a substantial risk of serious prejudice. But the two judges ruled in favour of the Attorney General. The Attorney General said after the decision: "This case shows why the media must comply with the Contempt of Court Act. "It is unfortunate that the deluge of media coverage following the Milly Dowler verdict, not only by these papers but also other media outlets, led to the judge discharging the jury before they had completed their deliberations on a charge of attempted kidnap, ultimately depriving Rachel Cowles of a verdict in her case. "This prosecution is a reminder to the press that whilst the jury is still to reach a verdict on all counts of the indictment the Contempt of Court Act applies. The question of penalty is now for the court to consider."